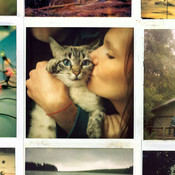 Do you like folk pop music? 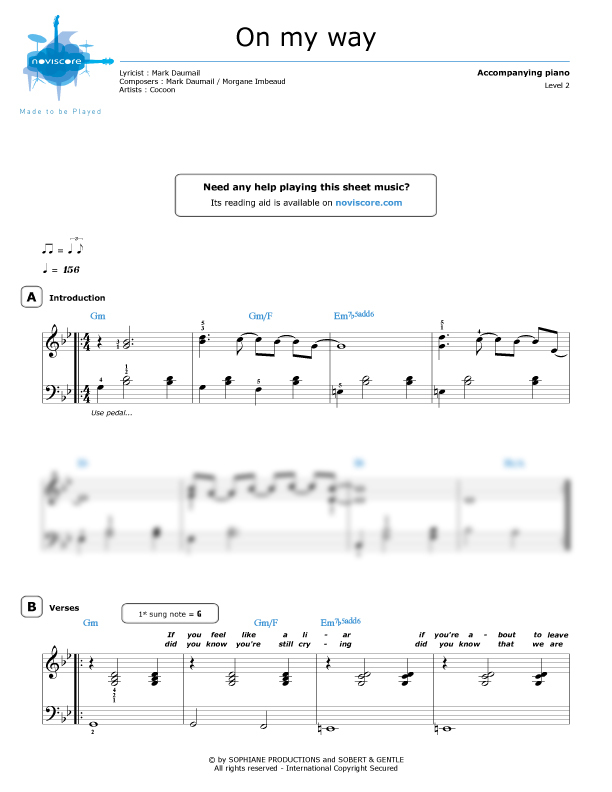 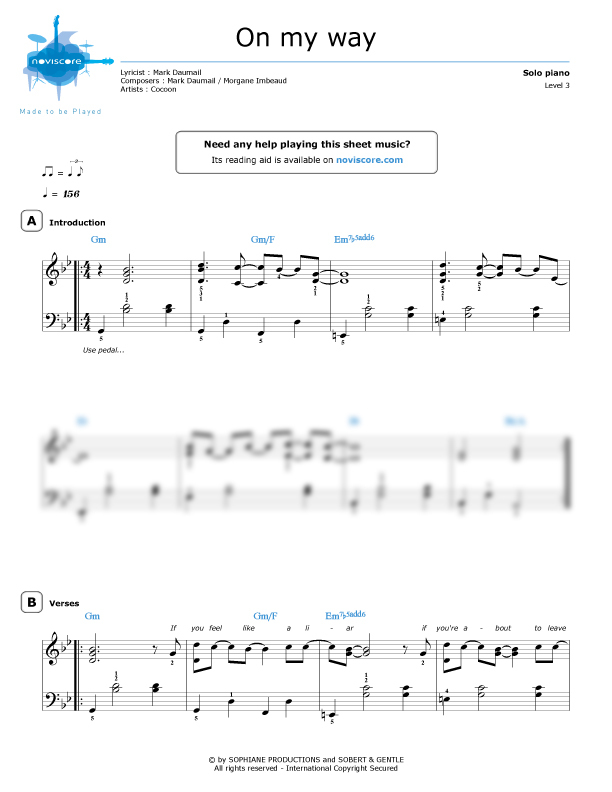 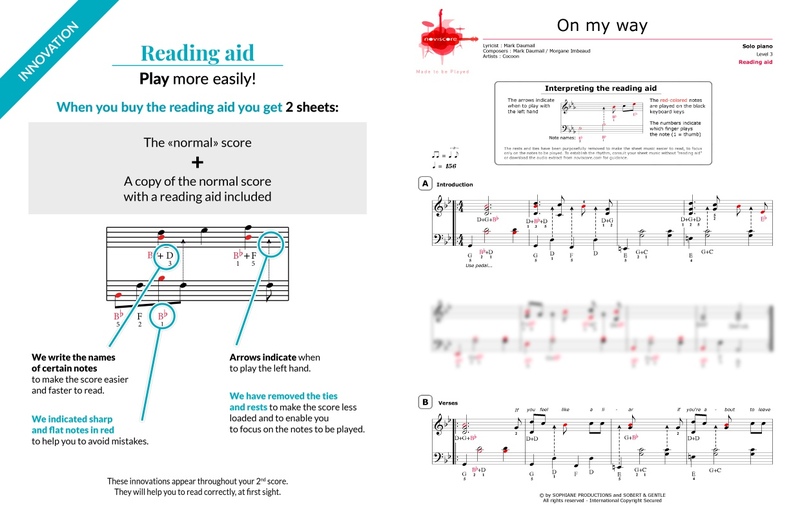 Indulge yourself by playing "On My Way" on the piano thanks to our music sheets. 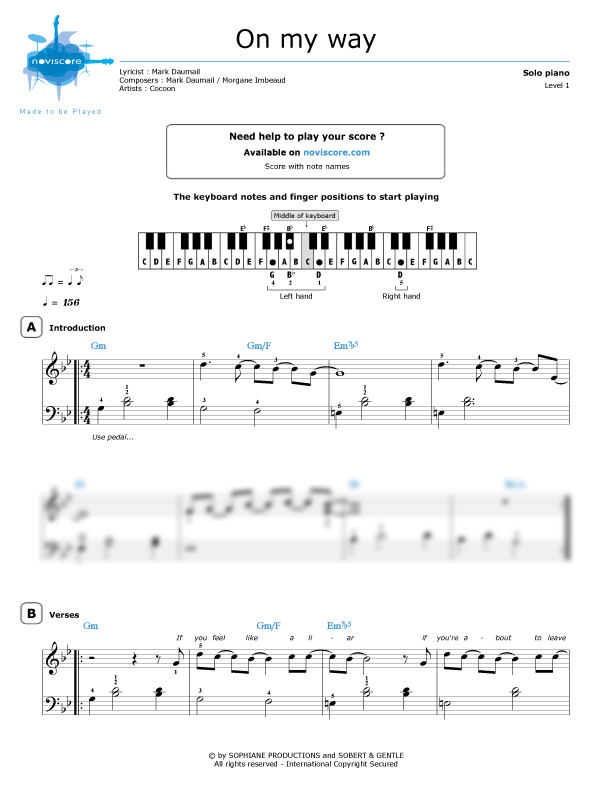 By the French group, Cocoon, this title is available in several levels of difficulty? 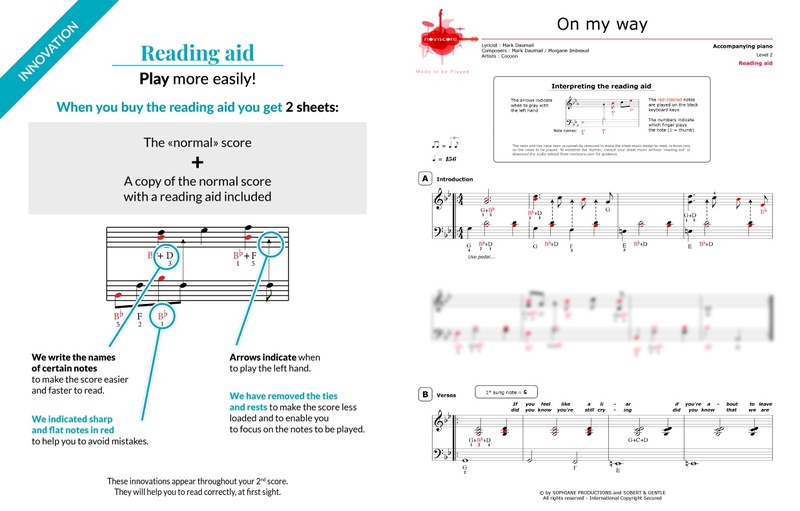 Choose the one best suited for your playing ability, for solo piano or piano accompaniment. 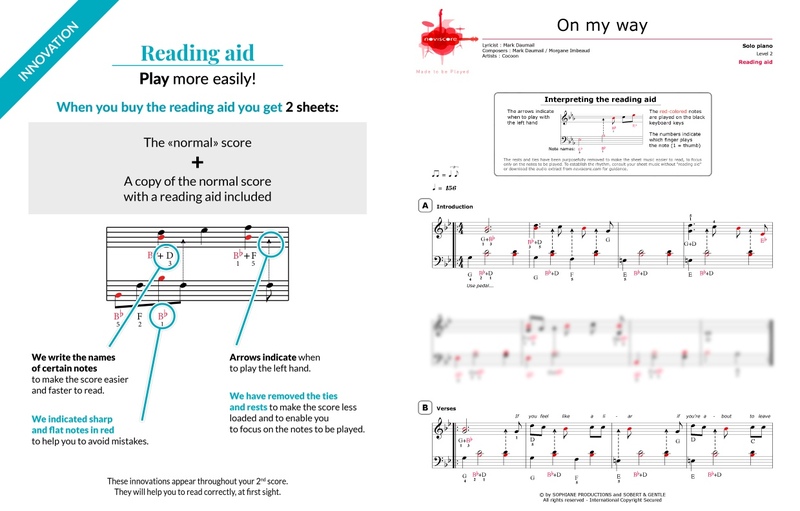 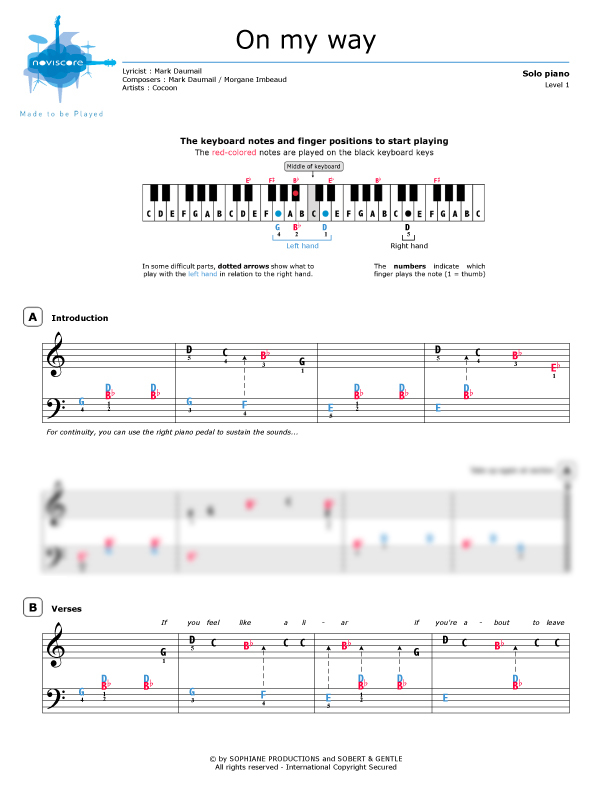 If you are a beginner, you will find easy piano scores with either traditional notes or note names if you can’t yet read music or, if you prefer to accompany the song, opt for our level 2 piano accompaniment sheet music with or without a reading aid. 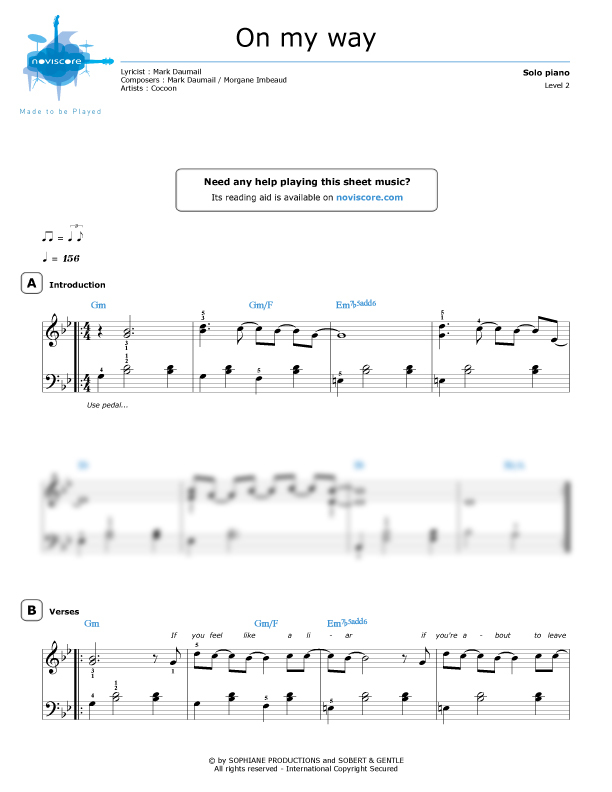 Discover also "Chupee" by the same group.